The GLS EnviroBiotech division is comprised of professionals and experts through who complete solutions are offered for varied environmental and ecological problems. Solutions are offered for industries ranging from textiles, chemicals, pharmaceuticals, dairy, processing, tanning, dying and others including enhancement solutions for common effluent treatment plants. Municipal waste, sewage and other solid waste, organic and agro-industrial waste are treated through the modern Wonderlife:1-2-3 technology. 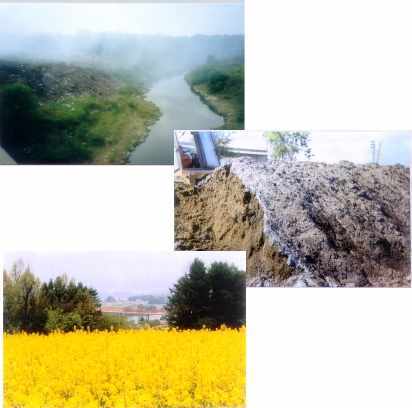 Re-Life is one of the break-through products developed by GLS to offer a much awaited solution to the world-wide issue of crop and plant trash burning, which not only causes environmental pollution but also deteriorates the soil quality and kills the microflora. Re-Life comes as a solution to degrade this waste in the soil itself and reinstate the nutrients from the waste into the soil and increases soil fertility and production. A large number of small and large projects have been taken up and are presently in operation. The consultants of GLS on individual experience basis have hands-on experience of more than 500 prominent projects besides several others. GLS offers the services for complete solutions are provided, either on requirement basis or on complete consultancy and turn-key basis.